Ruxley Beekeepers have a small outreach programme to help schools & youth groups use bees and beekeeping within their regular teaching or activities programme. There are 2 different approaches. 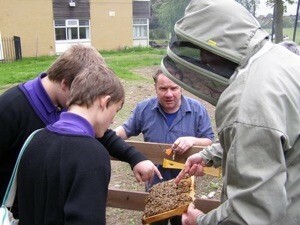 1) Bee hives permanently on the school site. Since 2008 we have helped 7 schools (4 primary and 3 secondary) and a nature reserve to establish honey bee colonies on their premises. This requires considerable sustained input from school staff, and should not be undertaken without careful planning. 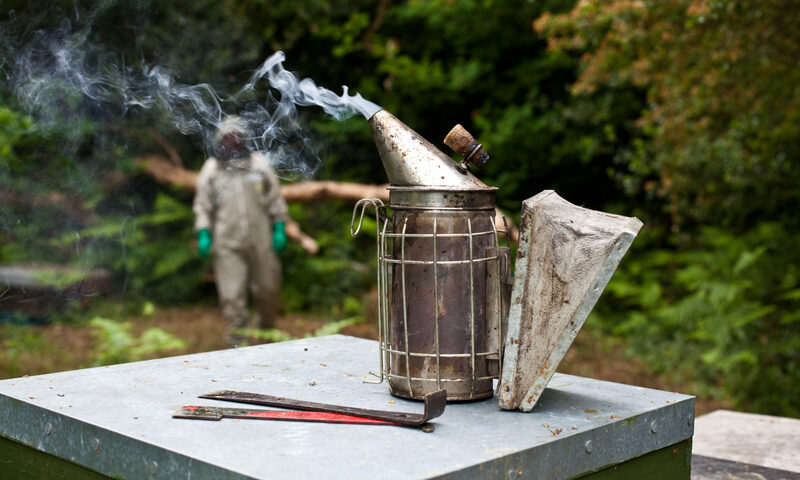 There must be beekeeper training, adequate site preparation (including security), regular colony management through the year, plus a budget for both set-up and operating costs. New equipment and suitable protective clothing is not cheap. In return the bees can provide an excellent and exciting resource that links to all aspects of the curriculum, not just environmental studies. 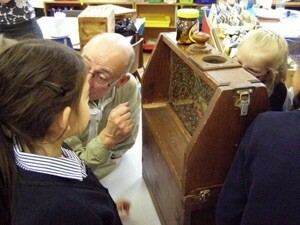 Beekeeping has also proved particularly attractive to some pupils who find indoor classroom learning difficult. 2) Visits by beekeepers with bees. Our club has several observation hives, where the bees can carry on their normal activities securely locked behind glass walls. 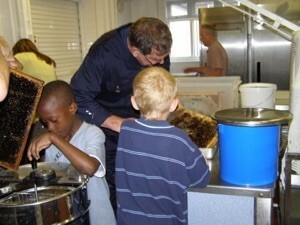 The hives are regularly taken to schools, and to youth groups such as Cubs & Brownies. Together with a range of ‘hands on’ items (wax comb; bug eye lenses; miniature hive; smoker; and child beekeeper suits) we also have many posters, digital photos and video clips. Events can therefore be tailored from the very simplest classroom ‘show & tell’ for 5 year olds, right through to display stands at science fairs, and seminars for secondary school students. Where possible we like to include active sessions in the school hall, so younger pupils can learn through play – waggle dancing, queen exercising, winter clustering etc. 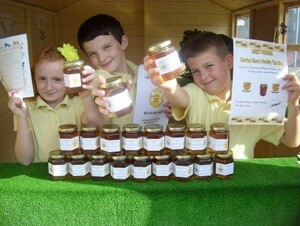 Honey tasting is always popular, particularly from the comb. These visits are only practical between April and September, and need careful planning to minimise the stress caused to the bee colonies. 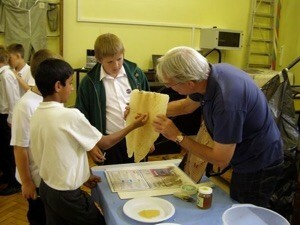 Priority is given to requests where the visit is integrated with other curriculum or activity plans. Short notice bookings are unlikely to be accepted. Ruxley Beekeepers do not charge fees for schools and youth group events, but where appropriate a donation to club funds is appreciated. Organisers will normally be asked to pay for the honey consumed. Petrol costs will depend on how far the beekeepers (and the bees) have to travel to the event.